Sayad Abdul Malik was a great writer of Assam, He was a great son mother Assam,and a true Assamese. By his great literature, he dreamed of an ideal Assamese society, where everyone lived happily, with people of different religions. In his literature,there is only only unity between every cast and religions.I find his work great,because he was inspiring the society to live together , and not just live, but thrive in harmony in the pleasure in togetherness. He wrote in his novels, the characters so amazing, so real.He was not writing in his novels about the society with people behaving indifferent to each other because of different casts or religion. But, in his story , he presented the unique characters in our society, who are sympathetic to the people of other cats and religion, who can love people of different religions too.These characters are may be rare, but there are people who know only to love human,no matter what religions they are from. Syed Abdul was one the greatest writer in India.He was a genius.He wrote 62 novels, 7 play, 17 books of short stories.He also wrote many poems, wrote humorous stories, and travel stories.What he did is so extra-ordinary. Syed Abdul was born on the 15 th January of 1919 in Naharani of Golaghat district of Assam.This great man studied his high school in Jorhat High school,He passed higher secondary from Jorhat College, and graduated B.A from Cotton College in 1941. And after some years of working in different jobs, such as sub-inspector, then in military. In 1946,he became proffessor in Jorhat College, teaching Persian language for two years and then joined as program assistent in Shillong-Guwahati radio center. 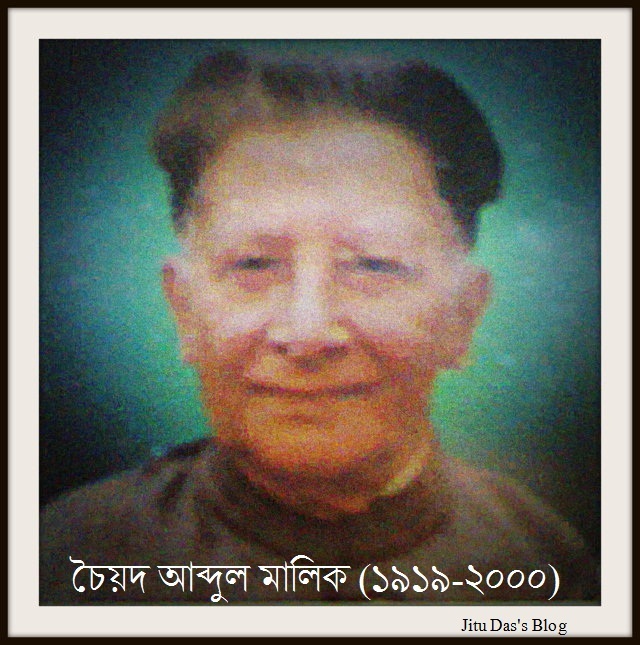 From 1951 to 1976 he worked as a proffessor of Assamese language in J.B. college. In 1976, he was elected as a member of parliament of sate council court( Rajya Sabha). He was elected as a president of Assam literature council in the next year. Sayad Abdul Malik was a man of no limit, because he love human, he was also engaged in communist works, in his young age. For his great extraordinary work, he received many awards, including Padamshri, Padma-Bibhukan from Indian government.For his novel,' Aghari Atmar Kahini'( which means- the story of the gypsy soul), He recievd ''Sahitya Academy Bata'' (Literature academy award) in 1972, ''Assam uptyaka Bata( Assam valley award) in 1992, and Sankardev Bata( award) in 1995.